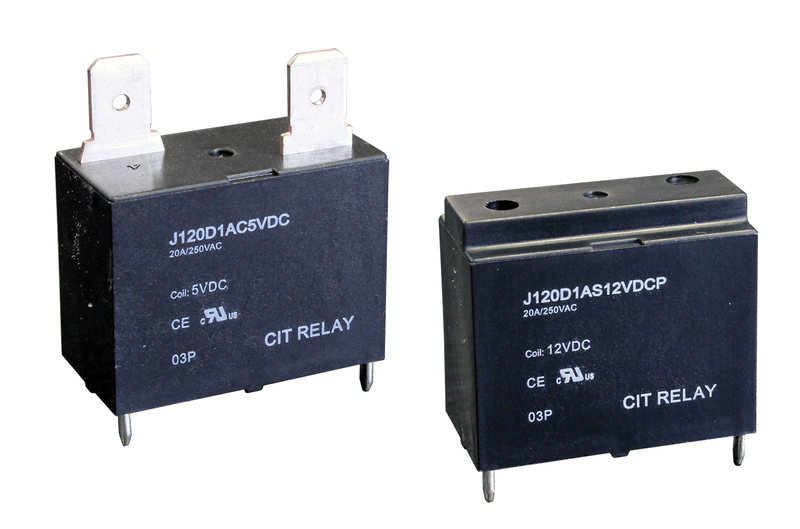 With switching capacity up to 20A, the J120D Series UL relay offers PC pin or quick connect terminals. 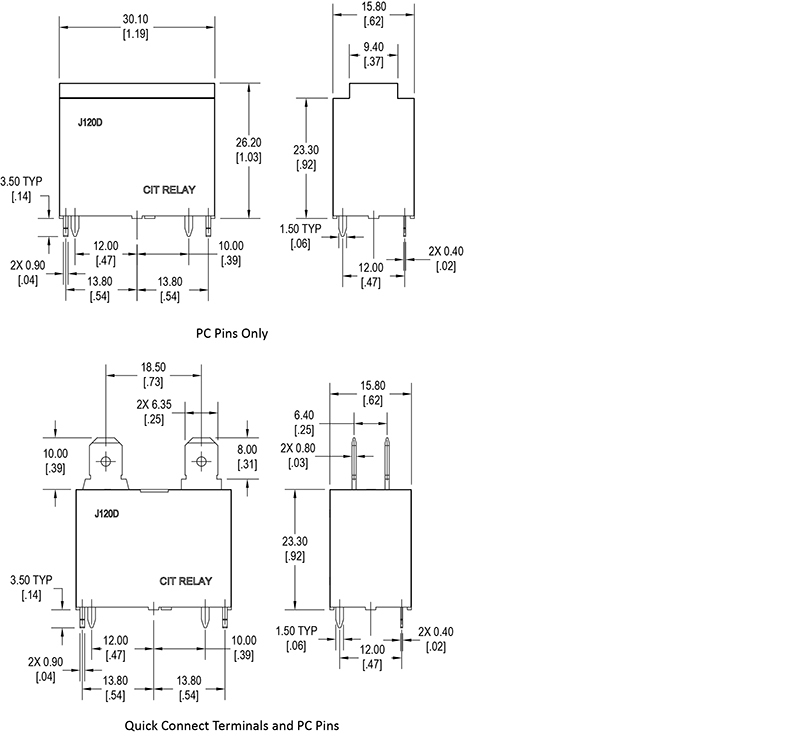 Strong resistance to shock and vibration, the J120D is designed to withstand high in-rush. This electronic relay is ideal for use in household applications, contact arrangement is 1A with coil voltage ranging from 5VDC up to 48VDC with coil power of .90W. Dimensions are 30.0 x 15.5 x 23.3 (33.0)mm. UL Agency approval is E197851.